DYK? Sending SPAM - aka electronic junk mail or generally, any unsolicited digital communication - could compromise the email marketing credibility of your business? 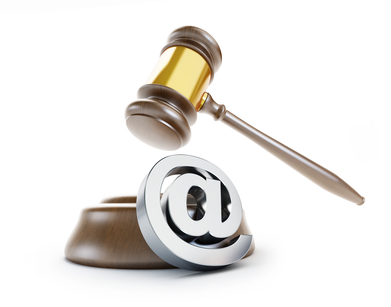 Violators of Canada’s Anti-Spam legislation (CASL) face a potential problem: non-compliance by an individual can bring up to $1M in penalties, and by a company? Up to $10M. Plus, download additional documentation for easy, future reference. This course is free because we are passionate about life-long learning and we believe in sharing knowledge for the common good. SHELLEY SPECIALIZES IN STRATEGIC INBOUND MARKETING SOLUTIONS FOR ORGANIZATIONS, AND INFORMATION TECHNOLOGY TRAINING FOR THE ADULT LEARNER. Shelley has been an IT educator for over 15 years. She was the lead IT Instructor for Eastern Shore (NS) Community Education, guest instructor at Henson College (the adult continuing education division of Dalhousie University, Halifax) and a contract instructor with ctcTrainCanada - a corporate learning centre serving Atlantic Canada. Recently admitted to the Squarespace Developer Circle as a recognized Nova Scotia Squarespace Specialist, Shelley is also a graduate of the HubSpot Inbound Marketing Certification program and is currently pursuing Google AdWords Certification. Her formal academic accomplishments include WebMaster Certification from Dalhousie University (Halifax) and a Diploma in Systems Analysis / Computer Programming. Having acquired additional training as an Adult Trainer at Henson College (Halifax), Shelley has gained significant experience with program design and delivery techniques suitable for the adult learner, and has applied these techniques to deliver cohesive & impactful online learning experiences. Additional skills include communication, facilitation, community development and project management.